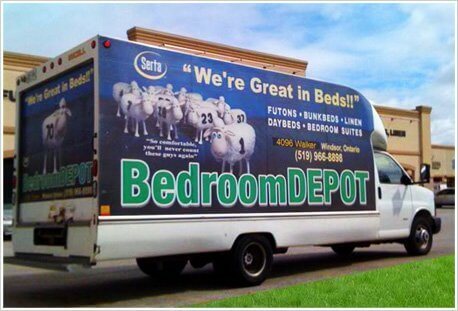 Bedroom Depot aims to meet and exceed your delivery requirements and expectations. Using our own experienced delivery personnel and trucks, Bedroom Depot performs deliveries within its local service areas, and offers customers the option of merchandise set-up, and packaging material removal. On the day of delivery, our team will call you to confirm your shipment, details of your order and any delivery instructions*. Our personnel will also provide you with a two – three hour delivery window. When the delivery date is unknown at the time of purchase, e.g. custom orders; we will give you an estimated time of arrival. This date is an approximation based on information provided by our suppliers and may be subject to change. Upon arrival we will notify you to schedule delivery. All items can be collected at our location.